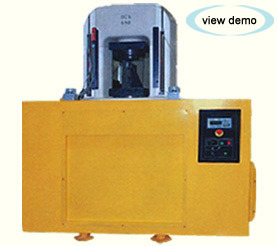 Years of engineering knowledge and practical experience enables us to design and manufacture heavy hydraulic coining presses. Standard designs, and custom presses can be tailored to individual specifications and feature a wide range of engineering and operational innovations that offer many advantages. The possibilities are endless because we design presses that are made for you. As a result, our customers have an infinite number of options available. We believe that each job deserves a quality press made exactly for its applications at an economical and affordable price.